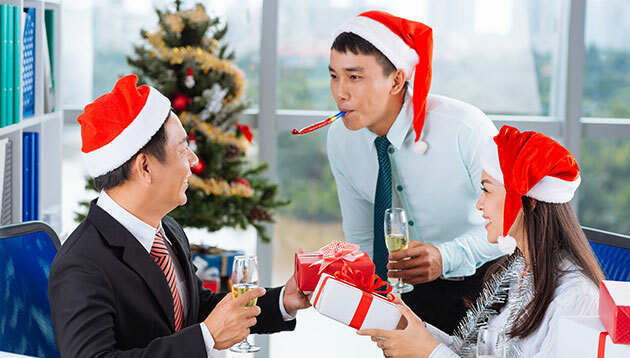 With about two weeks left to the office Christmas party, how can HR keep order in the office while avoiding being a party pooper at the pinnacle event in the professional festive calendar? According to Cascade HR, here are five key areas the HR department should be aware of when planning an approach to the office festivities. Don’t be afraid of setting out clear behaviour guidelines as to what is acceptable on the night of the party. Take the time to remind staff that the Christmas party still constitutes a work-related event, and that as such, the company will therefore be held responsible for any disruptive actions. This will help set the tone of expectations from the start. At the same time, it should be made clear that any breach of your usual standards of conduct could result in an employee facing formal disciplinary procedures, or further action depending on the nature of their behaviour. Keen to repay hardworking employees with a generous or even free bar allowance at the Christmas party? Ensure that both alcoholic drinks as well as non-alcoholic soft drinks are provided to cater to all employees. With free alcohol being named as a pivotal factor in tribunals brought against companies by their employees, it would also be wise to exercise a note of caution and try to roughly monitor the level of alcohol consumption as the night draws on. A good solution to keep alcohol consumption under control would be to issue free drinks tokens, with a set number available to each attendee. Additionally, with alcohol being served at the party, to avoid employees getting into trouble with the law, HR should also send reminders advising people to make arrangements for travelling home. Alternatively, consider pre-booking taxis from the venue for staff. The growing prevalence of social media means that inappropriate use can be a business issue at any time, but work-related social gatherings can require stricter guidance. As with behaviour, issuing clear guidelines from the start is a good practice. Of course, if you would rather they didn’t upload photos and videos from the evening to social media, you must explain why, and the potential impact that negative or offensive content could have on the wider business. Another option to consider could be to ask that all employees use a specific hashtag when uploading images and footage. That makes it easy to sense-check what content is being shared, and politely ask that people remove anything that isn’t appropriate. Christmas party season can act as a good time to remind people of the company’s social media policy, or to consider drawing one up guidelines are not already in place. Consider the audience carefully when weighing up entertainment options for the Christmas party. Ensure the running order of the evening is suitable for all staff as well as that there is something included that everyone will enjoy in some capacity. For example, a casino-themed evening is likely to have a heavy reliance on gambling for entertainment – great if employees are up for roulette and blackjack, but it could be seen as isolating for anyone whose religion bans the practice, or even for those who may have family members negatively affected by gambling. To avoid any unnecessary absences the day after the party, opt to hold it on a Friday, giving employees two days to ‘recover’ before they need to be in the office again. Alternatively, should your party fall on a weekday, do make all staff aware of what is expected from them the following day. Perhaps consider a later start in the morning, an earlier finish time, or staggering working hours across teams. Ultimately, if what is expected from employees is laid out, you are far more likely to avoid late night and alcohol-related absences. Apart from that, it should be made clear that attendance to the party is not compulsory – respect that people may have religious beliefs or prior plans that mean they cannot commit to attending. "The job layoff is only fuel for a new fire that has been lit inside me. I made the decision... to jump into my own business," he ..